Aluminum has a melting point of 660 ° C. Generally, the original Liquid Aluminum casting temperature is controlled at about 730 ° C or even lower. Liquid Aluminum has good fluidity and the casting temperature is lower than that of the original aluminum, about 710 °C-730 °C. For the unit that directly uses the liquid aluminum in the electrolytic cell, when the high-temperature aluminum liquid enters the mixing furnace, it should be timely mixed with cold material. Adding defective aluminum, aluminum slag, etc. to the mixing and holding furnace. 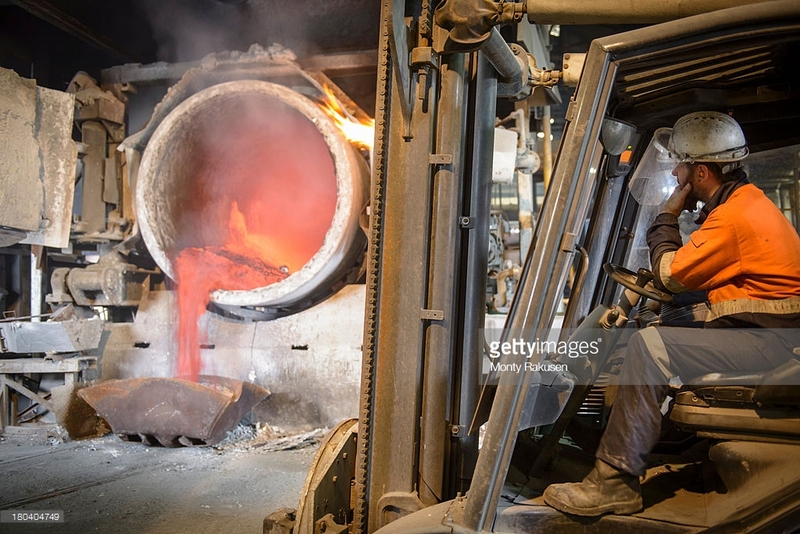 A part of the intermediate alloy (industrial silicon) is added into the furnace in advance to form a pressure-melting state, which not only increases the actual yield but also lowers the temperature. At the same time, the surface of the cold material to be added should be cleaned and there should be no oil or the like, otherwise the heat may be burned to promote burning. In summary, effectively reducing the temperature of the aluminum liquid to the corresponding casting temperature can reduce the large influence of temperature on the casting loss. Reduce the contact force between Liquid Aluminum and air. The greater the contact force between liquid aluminum and oxygen, the more serious the oxidation loss, and the greater the casting loss. 1) Reduce the contact time between Liquid Aluminum and Oxygen: 1 Under the conditions of meeting production requirements, the aluminum in the furnace should be turned into a finished product as soon as possible, and it is better to work on duty when the shift is on duty. Do not let the liquid aluminum stay in the furnace for too long; 2 Reasonably place the casting equipment, shorten the length of the launder as much as possible to reduce the exposure time of liquid aluminum in the air, and at the same time, cover the upper part of the launder with aluminum silicate insulation board, which not only has a certain thermal insulation effect, but also reduces the oxygen content in the launder. In short, to prevent the aluminum liquid from being stored in the mixing furnace for a long time for various reasons, to reduce the contact time between Liquid Aluminum and oxygen to reduce the casting loss. 2) Control the Liquid Aluminum mixing method: whether it is manual mixing or mechanical stirring, the furnace door is opened, which not only brings about huge fluctuations in the liquid surface, increases the contact area with oxygen but also increases the oxygen content in the furnace. The amount will accelerate the above chemical reaction, and the burning loss will increase. Electromagnetic stirring can be carried out in a closed state and the liquid level fluctuation is small, effectively avoiding the corresponding disadvantages, and at the same time reducing the moisture in the air into the furnace and reducing the probability of absorption of hydrogen by the liquid aluminum. 3) Control the blowing height of Liquid Aluminum refining: the general refining method is to manually spray the refining agent into the furnace and then stir and refine it, but for some alloy production, it needs to be blown with nitrogen for refining (long refining time, up to 30 minutes) Left and right), there must be a certain bubble height and horizontal to the side, vertical to the head, driving the large fluctuation of liquid aluminum, so it is better to adjust the nitrogen pressure, the bubble height is controlled at 10-15mm.